10 Tanggapan untuk "Script PayPal Account Checker Stylec0de"
:3 Link download Mokad om! kirim ke https://www.facebook.com/JonesSialan ya om! 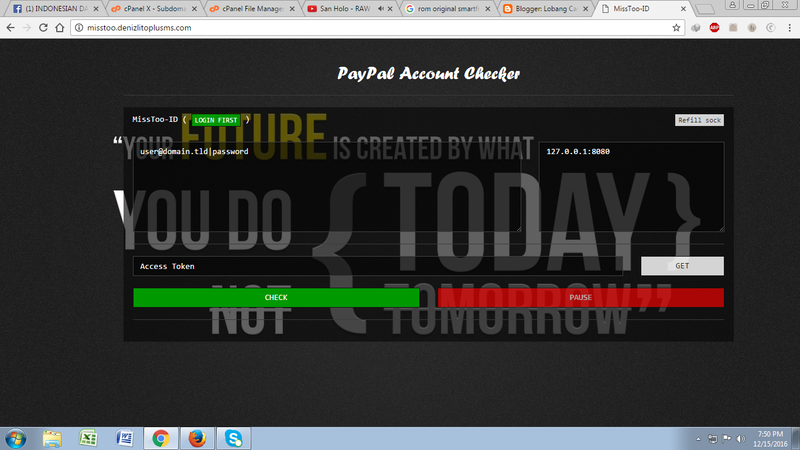 Paypal Checker Online PayPal checker is a tool to check whether a PayPal account is in an active state or not this tool and also PayPal login checker can also be used to determine the amount of someone’s balance.